ISAC brings together accomplished experts and young professionals with academic backgrounds in international relations, diplomacy, politics, as well as practical experience accumulated in the government, including Ministry of Foreign Affairs, Ministry of Defence and the Office for European Integration. Mr. Pajevic was one of the founders of the ISAC Fund in 2006. and is the Chairman of its Advisory Board. 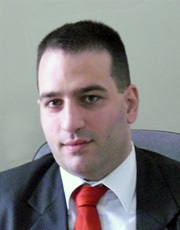 Mr. Pajevic served as CEO of the G17 Institute in 2004 and 2005. He was one of the founders of the G17 Plus expert network (NGO) in 1999 and its Foreign Policy Adviser. In the first democratic government since the fall of Milosevic, in 2000, Mr. Pajevic first held the title of the Federal Councilor and then Ambassador at the MFA, as well as the National Coordinator of the Stability Pact for SEE, permanently serving as Foreign Policy Adviser to Deputy Prime Minister of FRY and later Serbia, Prof. Labus. Mr. Pajevic resigned from the post of Ambassador and terminated his employment at the Government in 2004 because of the lack of a comprehensive reform of diplomatic apparatus and the inadequate foreign policy of Serbia. In the 1990s, he was among the founders and the Vice President of the European Movement in Serbia (1994 to 2000) and worked as Director General of Stubovi kulture publishing house (1993 to 2000). Since he strongly disagreed with the destructive politics of the Serbian leadership in the late 1980s and the early 1990s he refrained from being engaged in Serbian diplomacy but went abroad and worked in the private sector (Zepter International – Austria, Switzerland and Poland) from 1991 to 1993. Mr. Pajevic holds a B.A. in Political Science and International Relations from the Faculty of Political Science, University of Belgrade. From August 2012 until September 2013, he was the Director of the European Integration Office. Mr. Albahari is the Program Manager of ISAC Fund and has been with ISAC since 2008, previously in the positions of Project Assistant and Project Manager.He holds a Masters in European Studies (MES) from the University of Bonn – Center for European Integration Studies (ZEI), and a BA (Honours) degree in Political Science from the University of Calgary. His Master thesis analysed Serbia’s technical and political progress on meeting EU’s integration criteria, and he has continued to address this topic through numerous projects he has led, especially in the area of foreign and security policy. As Program Manager, Mr. Albahari is in charge of ISAC programs which deal with Serbia’s European and Euro-Atlantic integrations, organizing international conferences, seminars, study visits and trainings, as well as outreach, advocacy and second track diplomacy related activities. 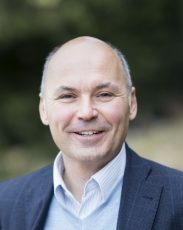 He is a member and vice-chair of the working group for Chapter 31 – Foreign, security and defence policy, under the National Convention on the European Union. Besides attending the University of Calgary, Mr. Albahari lived in Canada with his family for 15 years before returning back to Serbia. He is also an occasional lecturer at the Belgrade Open School, and has held presentations for various study groups, NGOs and students on the topics of the European Union, NATO and security sector reform. Mr. Albahari is fluent in English and Serbian. Ms. Bogosavljevic joined the ISAC Fund team in 2018 as the new Program Assistant. She graduated from the Faculty of Political Sciences, University of Belgrade in 2016 with a degree in International Relations. She continued her academic education at the same faculty, within the master academic studies of International Security. Besides her formal education, Ms. Bogosavljevic has been involved in the one-year educational program of the Belgrade Open School (BOS) dedicated to the best students of Belgrade universities. She successfully completed training in writing policy recommendation papers organized by BOS/OSCE, as well as UNDP/UNV program aimed at strengthening community safety. 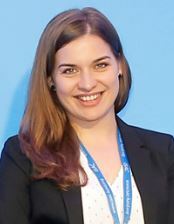 In 2017, Ms. Bogosavljevic did a six month internship at the Belgrade Center for Security Policy, where she dealt with the EU accession negotiations, wrote several texts for the newsletter rEUformator – informator about Chapters 23 and 24 and took part in organizing of the Belgrade Security Forum. In the same year, she became an intern in the Ministry of Foreign Affairs of the Republic of Serbia, in the department for consular affairs. During 2018, Ms. Bogosavljevic also did an internship at ISAC where she focused her activities towards current projects covered by Chapters 30 and 31. After that she joined the Belgrade Open School where she dealt with youth and education policies. She is the winner of the “SALUS 2017” award for the best student policy paper in the field of security. Ms. Bogosavljevic is fluent in English and Serbian. Mr. Igor Novaković is the Research Director of the International and Security Affairs Centre – ISAC Fund. 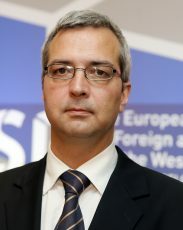 His field of research encompasses issues related to international relations and security, in particular connected to the European and Euro Atlantic integrations, regional cooperation and bilateral cooperation of Serbia with other states, as well as the interethnic dialogue in the Southeastern Europe. He is the author of a number of analyses and policy papers. 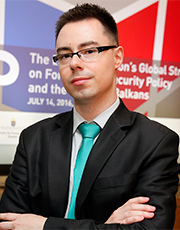 In addition, Mr. Novaković has published several articles in domestic and international scientific journals, and has organized a number of different international conferences, roundtables and workshops on various topics related to international relations, security cooperation, interethnic dialogue and minority integration. He holds a PhD in Political Science from University of Belgrade, an MA in International Relations and European Studies from the University of Bologna and University of Novi Sad, and a BA in History from the University of Novi Sad. Mr. Novakovic is fluent in English, and has a good command in Italian and Bulgarian. Mr. Petrovic is one of the founders and the Director of the ISAC Fund in charge of logistics, finance and administration. From July 2004 until end of December 2005, he served as Chief of Staff to Assistant Minister of Defence of Serbia and Montenegro. Before this he worked as the Director at the Defence and Security Studies Centre (DSSC) at the G17 Institute (ESPI Institute) since the Centre’s inception in 2002. From 2003 to 2005, Mr. Petrovic was the first Administrator of the Defence and Security Committee of G17 Plus. Mr. Petrovic also worked for the International Organisation for Migration / OSCE joint out-of-country voting program as assistant to Program Director. He also worked for the EU Justice and Home Affairs fact finding mission in 2001. A civil engineer by profession, Mr. Petrovic worked for a number of companies in the private sector in construction management, engineering and industrial design in the 1990s (Energoprojekt, Graniti Minic, etc). In the early 1990s, Mr. Petrovic lived in the UK. Mr. Petrovic is fluent in Serbian and English and is certified in Microsoft systems management.